Rising interest rates have been a hot topic in the news lately! Following the housing market crash just a decade ago, the U.S. Federal Reserve has worked to keep interest rates low, providing easy access to credit to encourage housing market activity. More recently as the economic climate has continued to improve, changes in the Fed’s policy include raising interest rates. For prospective homebuyers, rising rates may put some pressure on finding a home sooner. 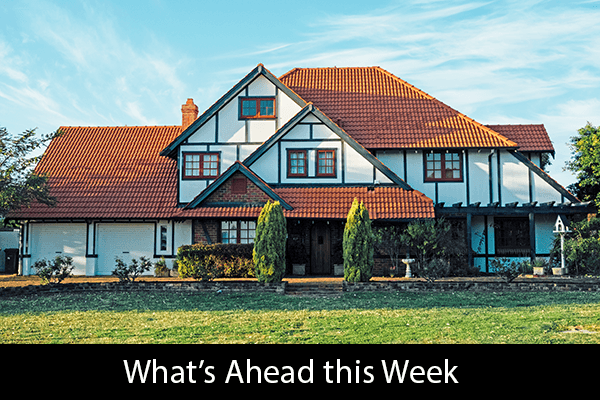 Below is some perspective on what rising rates mean for mortgage affordability, along with how they affect the real estate market and housing inventory in areas around Buncombe County. Interest rates have risen over the last year and are continuing to rise much in part due to the continued forecast of economic growth and the Federal Reserve’s current stance on monetary policy. Yet rates are still very low from a historical perspective (see FRED Economic Data/St. Louis Fed Graph). It appears that an average 30-year fixed rate over the last 40-plus years is somewhere in the 8% range (65-70% higher than current levels). Nonetheless, let’s look back over the last year to see how the increase in rates has affected home affordability. See the below chart from Keeping Current Matters. These figures are obviously not exact and don’t include down payment, taxes, insurance or mortgage insurance. But the point is this: rates have risen about .75% from last June to now and it significantly impacts one’s ability to purchase. 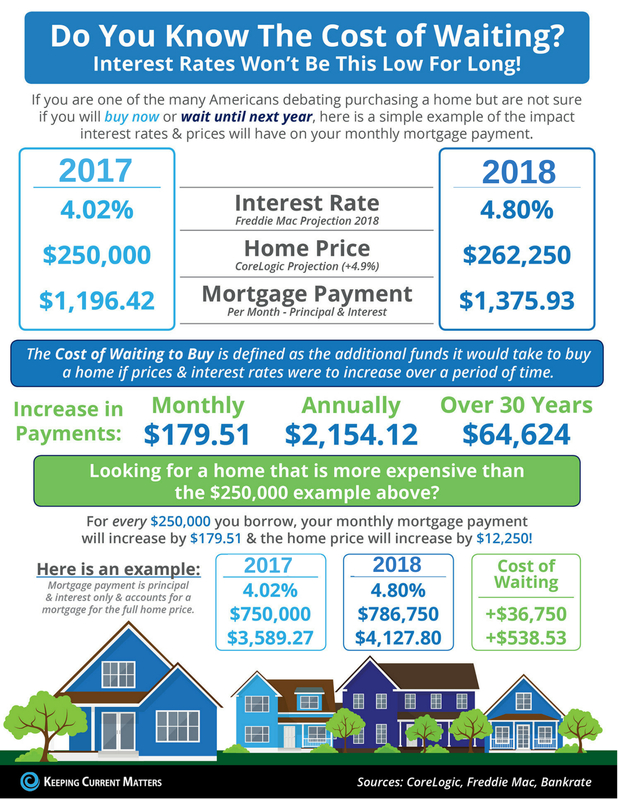 Look at the impact this 20% increase in interest rate and 5% increase in purchase price has on one’s housing payments for a $250,000 loan over 30 years – just over $64,000! Keep in mind that many of our markets in the WNC region have appreciated at a higher pace than 5% over the last year so the cost of waiting could have been greater. For the family in this example to keep their principal & interest payment at or under $2,000 a month, they would have to lower their loan amount from $250,000 in 2017 to $229,000 in 2018. That is roughly an 8.5% decrease in purchase power. If interest rates and home prices continue to climb it could significantly reduce one’s buying power even further. What will this comparison look like from ’18 to ’19? Will rates be in the 5.50% range? There’s no way to know for sure, yet it’s generally accepted by economists that rates will continue to rise. AUTHORED BY: Collin O’Berry, Managing Broker of the Altamont Property Group with Keller Williams Realty in Asheville NC. NC License 274582. While it’s expected that rate increases will continue, their effect on home values isn’t necessarily a direct correlation. Some would expect prices to decline as rates rise. In Buncombe County, the real estate market has been experiencing fewer home sales over the past 12 months, down approximately 5 % thus far in 2018 in comparison to 2017. 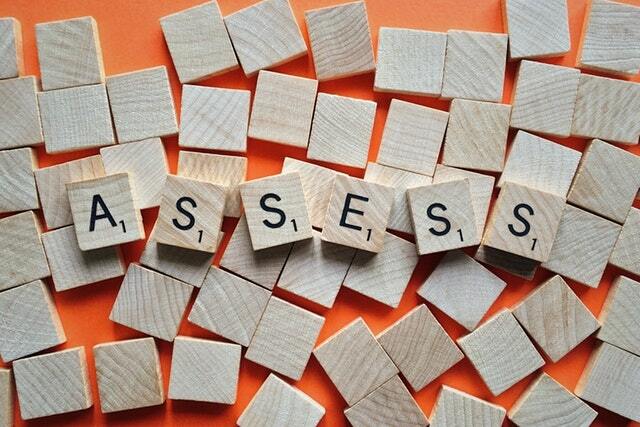 General inventory levels are the most likely culprit for this sales pace. At the same time prices have continued to rise, with prices in Buncombe County up over 10% from this time in 2017. These numbers suggest more of the same – price appreciation and similar levels of inventory for the foreseeable future. Also, the Asheville market draws a wide range of buyers across age groups and income levels, including primary owner occupants, retirees, investors and second home owners. This diversity in market activity is another factor contributing to price appreciation. 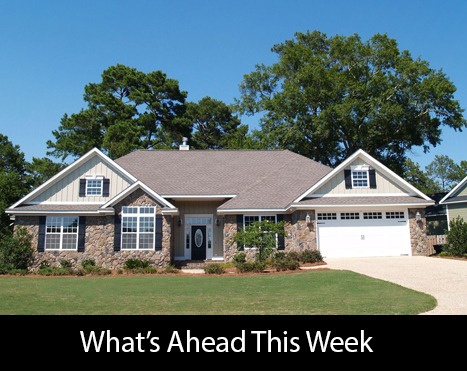 I hear weekly where buyers voice concern about real estate prices and desire to wait until property values stagnate. 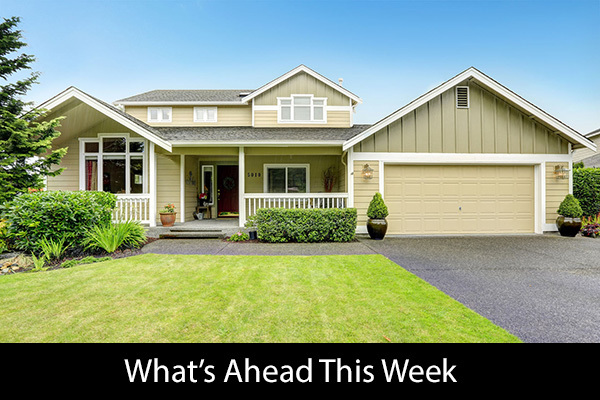 While these are valid concerns, it’s important to pay attention to inventory levels as indicators of where prices are trending in different segments of the market. In Buncombe County, inventory levels are very low in the more affordable segments of the market (300k and less) and buyer demand has continued to be strong. The cost and scarcity of quality building land means builders need to build more expensive homes to make the investment feasible, meaning less affordable new construction homes are under construction. Inventory in middle segments of the market (300-650k) is more balanced with the most desirable listings selling quickly. There can be some great opportunities for both buyers and sellers here. For the luxury segments of the market, many opportunities can be found for savvy buyers, ranging from in-town historic homes and condos, to mountain properties and homesteads. Inventory levels in the Asheville city limits tend to be lower across the board. Click here for the May 2018 market absorption report for Buncombe County. All in all, many factors point to decreased long-term affordability with rising rates and rising prices if buyers choose to wait. This is especially true for buyers seeking affordable homes. For investors these market conditions have more of an influence on purchase decisions and timing. 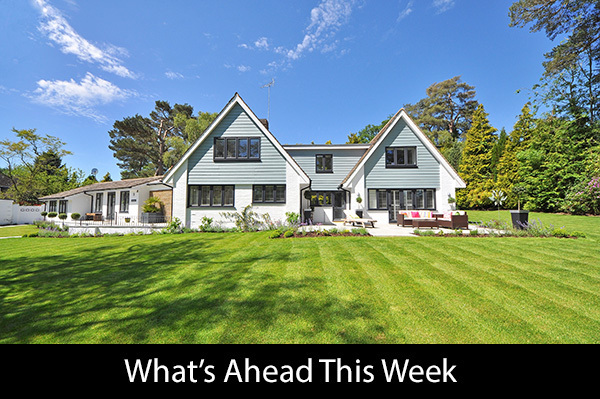 Also of importance is the market is ripe with opportunity for trade up or downsizing buyers to sell their homes for maximum value, and save or re-invest their realized equity. Your questions, comments, and feedback are most welcome! Also please be sure to connect with Collin or Cameron if you are seeking expert real estate or mortgage lending advice. Cameron Lewis can be reached at clewis@acopiahomeloans.com, 828-231-4909, or at http://www.acopiahomeloans.com/cameron-lewis. Collin O’Berry can be reached at collin.oberry@gmail.com, 828-772-1667, or www.altamontpropertygroup.com.